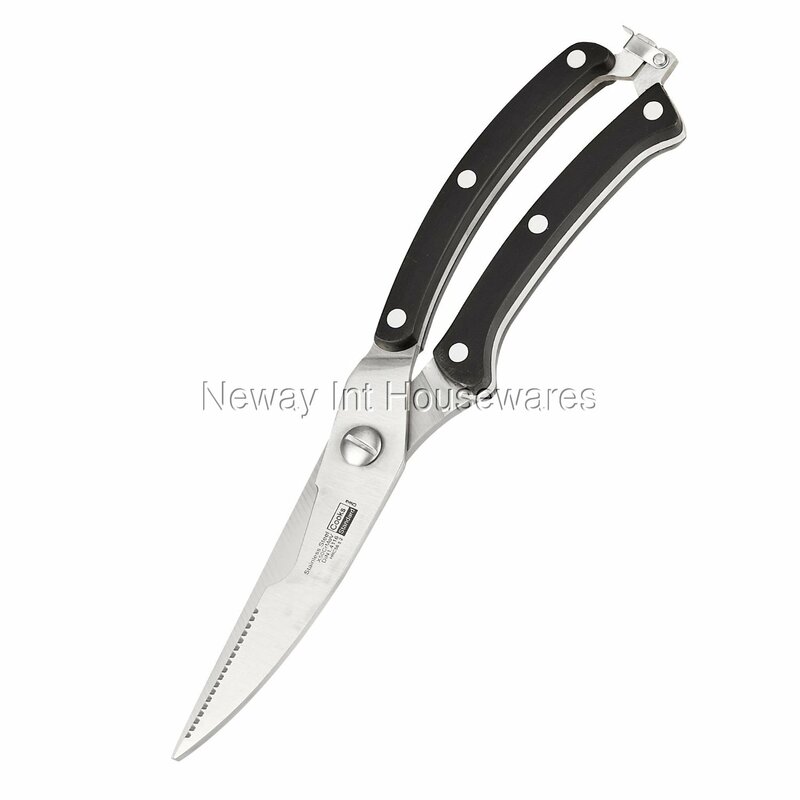 The Cooks Standard Kitchen Shears Heavy Duty All-Purpose Cutlery Scissors, Stainless Steel is made of stainless steel that is 4 mm thick. The sharp blades are full tang and spring loaded for wide openings. Comfortable handle has 3 rivets for strength and is easy to grip. Serrated edge makes items not slip and is rust-resistant. Cuts through most meat, bone, paper, plastic, and sheet metal. Not dishwasher safe. Hand wash and dry immediately.